I am so excited to pair up with Tamara from Tamara (Like) Camera this week for Ask Away Friday!! 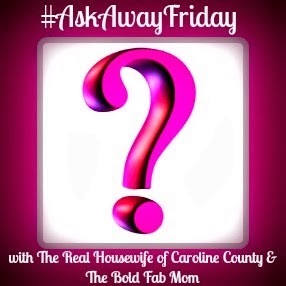 If you are not familiar, #AskAwayFriday is a great way to meet new bloggers and to get to know other bloggers even better. Each week you pair up and swap 10 questions with your partner, to be answered in a blog post on Friday. I've been reading Tamara's blog, and admiring her photography for a while. I'm not even positive how I ended up there in the first place, but I think I actually might have squealed a little bit when I saw her name on the list of Mother of all Meltdowns* contributors with me. Tamara is married to Cassidy and Mama to Scarlet and Des. I definitely recommend checking out her blog...right after you see how I answered her questions! 1. As you know, I have Disney on the mind. Who is your favorite princess, real or imaginary, and why? I am not anti-princess, but I'm not super-obsessed either. Before Frances was born, we didn't know if we were having a boy or a girl, so most of our stuff was very gender neutral. After she was born, I joked that it looked like Pepto Bismal had exploded all over her room! All the pink!! I was more of a tomboy growing up and have never been a girly girl, so that took me by surprise. Frances likes girly stuff, but she's also got a tomboy side and a geeky side. I haven't gotten anywhere near answering your question, though, have I? If I had to identify with a Disney Princess it would be Belle for her love of books. 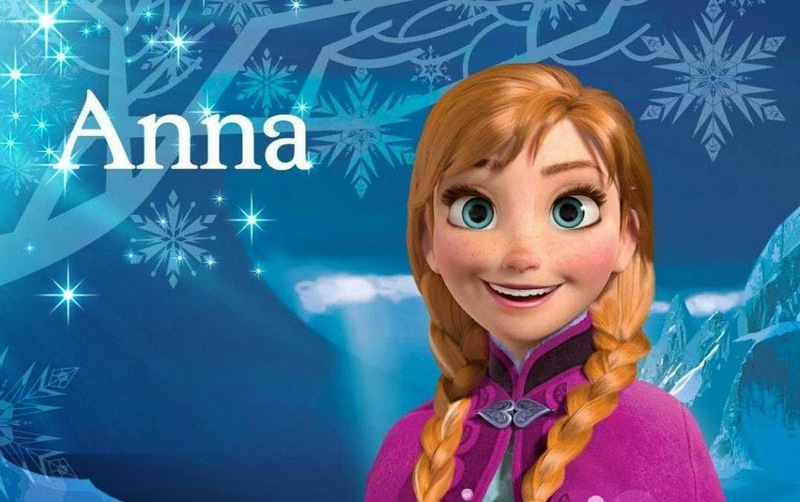 If I had to pick a character from my favorite movie, I would have to go with Anna from Frozen. She's tough. She's a problem solver. She's got a good heart and she's silly and funny too. 2. You've been blogging more than most of us! What is a big blogging goal you have for 2014? Or a small one? Or both! A big goal? To streamline the process so that I can be more purposeful about the time I spend online. I get distracted easily; in everything I do. I want to be able to sit down to blog, draft two or three posts, edit one to get it perfect, schedule some social media, visit some friends, reply to some comments and then be done. I don't want to keep interrupting A to do B and then interrupting B to do C.
3. I saw that Egypt was on your bucket list post. My mom went there for two weeks when I was in high school! Name five things you want to do in Egypt with your family. 4. Describe your dream home - feeling, decorations, ambiance, how many bedrooms/bathrooms, etc. My dream home pops up a lot in my dreams. Not in a way that I could draw you a picture or tell you the layout, but I often dream of a different house that just "feels" right to me. I want to have a big kitchen with lots of counter space so that the kids can come help me cook or bake. I want a nice dining room with a table big enough to invite friends over for dinner. I wish the kids could have a play room for all their toys where they could spread out and play without getting stepped on and where they could invite friends over. I want Frances to have a room of her own. The boys LOVE their bunk beds and I don't think they mind sharing that much. I want a guest room so we can have company come over and stay. My dream home has more than one bathroom, so no one has to do an elaborate pee pee dance while waiting for their sibling to finish! I want a flat, fenced-in yard where the boys can burn off tons of energy. I want a nice neighborhood where kids can come over and visit and my kids have friend to play with. A flat street to ride bikes and scooters on. And if I haven't woken up just yet, there's a few more things I fantasize about: a den where Ken and I could watch TV and I can do crafty stuff and sew. I want a mother-in-law type attachment where we could house a college student who needs a place to stay and just happens to love watching my kids on occasion in exchange for free room and board. OK, I'm not done yet. LOL!! I want a secret room that's hidden behind a bookshelf in the basement. I don't know what's in it, but I want it. I also want a round room up in the attic, covered in bookshelves and pillows where you can look out the windows and see nature and then curl up with a good book and read for hours. I think that's it...for now! 5. I think you know how much I loved the cold cuts part of your story in "The Mother of All Meltdowns." 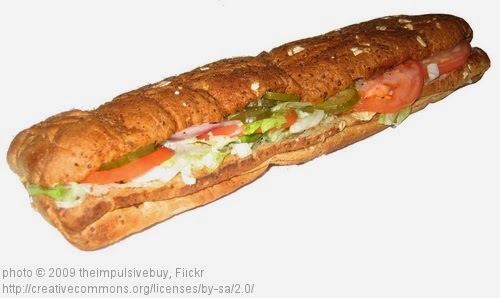 Describe your most perfect sandwich! I love going to Subway!! To me the perfect sandwich has everything you can possibly cram on it: black forest ham, provolone or colby jack cheese, lettuce, spinach, green peppers, tomatoes, pickles, black olives, sprouts, shredded carrots, mayo, mustard, oil and vinegar. If you can take a bite without getting food on your face, then you have forgotten something!! Do you know that when we go to Subway, the kids order...PIZZA! And Ken either gets a meatball sub with just meatballs and cheese or he gets meat and cheese and lettuce. What's the point of going to Subway of you don't order everything!?!?! I don't often eat sandwiches like that at home, because it's just a pain to have all that stuff on hand, especially if I'm the only one who eats them that way. 6. How many of the 50 states have you been to? Feel free to list 'em! 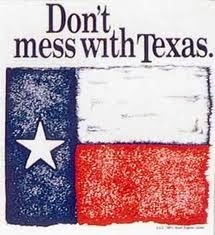 I was born in Texas, and I now live in Virginia. I have visited Alaska, Washington State, North Carolina, West Virginia, Maryland, Pennsylvania, New York, and Florida. I've probably set foot in or driven through a few more, but I don't have distinct memories of them. Ken and I started a tacky shot glass collection at one point and our goal was to have one from each state we visited, hopefully at some point all 50. Having kids kinda got that goal off track, but maybe when they/we are older we'll travel more. 7. What's something you intended to do today, but didn't? Why not? Well, the day is only half over at this writing and I can be mildly stubborn, so I feel like if I write something about today then I will go out of my way to accomplish it later. I can tell you what I meant to do yesterday (Wednesday) and didn't do: I got an iPad Air at work. I am supposed to turn in my iPad 3. I haven't done it yet because I haven't transferred over the files yet. The embarrassing reason that it's taking so long is that I have this stupid game I play every night and I want to make sure it saves my game progress. Maybe I should say that it hasn't been done today either and then force myself to DO IT!! PS I finished it!! I guess when it comes to stubborn vs. procrastination, stubborn won (this time)! 8. What books and movies have made a big impact on your life? I'm not terribly picky when it comes to books and movies. I'm not good at analyzing them and making deep connections that go throughout a work of literature or a movie. I will say that there are a few movies that hold special memories for me. Top Gun is one of them. My friend Aspen and I used to get together on the weekends and watch this movie over and over again! I had it completely memorized when I was 8 or 9! I can still recite most of the important parts and reference it occasionally in life. I also have special memories of Dr. Seuss, Tikki Tikki Tembo*, Caps for Sale*, and The Story of Ferdinand*. My dad used to do most of the bedtimes reading and he used funny faces and special voices and I loved it! I remember him reading to us in my parent's bed and we (my brother, Alan and I) would fall asleep there and have to be carried to our room later. Now I get to read those books to my kids and the memories just flood back! 9. What's your dream job? And if you already have it, what's it like a day in the life of your job? I love my current job! And it's not anything like what I expected to be doing. I work in an office in the college of education at a local university. My undergrad degree is for teaching, but at the end of the day being a classroom teacher just wasn't a good fit for me. Here, I feel like I am still involved with the world of teachers and educators. I have an amazing boss and great co-workers. I supervise some awesome students and I really never dread coming to work! I have been here two and a half years, and I don't think I have ever not wanted to come to work! Sure, there's days where I'd love to stay in bed, but I don't think that counts. The other plus, is that we usually get a good amount of time off for Christmas. This year I was able to be home with my kids for two week over winter break without using vacation time or anything! I work 8-5 Monday through Friday. I've got my own office, but it also houses some equipment that we check out and the microwave, so it can be a social place at times. I order supplies, track the money, schedule and supervise the student workers and basically sit here and be awesome all day! This isn't a bad example, but it's recent and it kinda makes me laugh!! I do payroll for the student workers. Well, they haven't worked since the second week of December, so when I got the notice that payroll panels were ready for the most recent pay period, I just ignored it: I didn't have any hours to enter, so I didn't think I needed to worry about it. WRONG! Tuesday morning, I got an email that the deadline was at noon and I hadn't entered anything. Ooops! So I logged in, entered zeros for everyone and started to save the panels. Then my phone rang. The dean's secretary was calling because she had gotten the email about me and she wanted to make sure I would get it done. Then my boss forwarded me his copy of the email to ask what was going on. I explained to both that I had already taken care of it and then an hour later, another co-worker emailed to ask about it. So, if you're counting: at least three people got an email basically saying I had screwed up! The good thing is that no one was upset and I'm not in trouble. Hopefully I'll remember next Christmas that I shouldn't ignore that email!! Phew, Tamara, I don't think you expected a novel! These were some great questions!! Happy Friday everyone! Make sure you go check out some more answers here. *This blog occasionally uses affiliate links. Should you choose to click on one and buy something, my family will benefit. Thank you!